The councilors of five states have jointly made theater bandh on Friday by protesting the digital service providers. 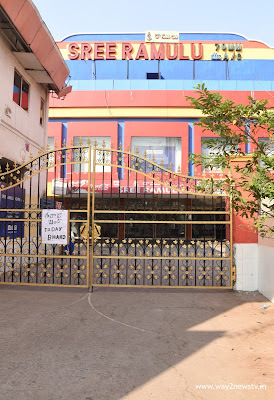 The Telangana Film Chamber of Commerce has convened a media conference on Saturday during the successful theater bandh. TPCC Chairman Pratani Ramakrishna said, "From Friday onwards, theaters are going to be full of theaters in Tamil Nadu, Kerala, Karnataka, Andhra Pradesh and Telangana state. Thanks to the producers of five states, distributors, exhibitors, and the public for this. We have been fighting on the first since the digital service providers. Now the four-language film industry has become a JAC on a single palm and the fight against Digital Service Providers' fare is good. We also preach with them all the way in support of them. I want to stay together until digital service providers come in. Until the theater bands, digital producers can understand how many producers are losing and how many problems they are getting. Because of this, many films are not available for release. Cube, UFO, and PX D. Adhere to the Agreement that they make free service after five years. Or reduce the charges. Otherwise, if you step down, we will move forward with new companies. Theater bandh does not stop until our demands reach. We all want to cooperate with Theater Bandh, "he said. TFCC secretary Sai Venkat said ... "Thank you to them for the South Indian film industry which is cooperated by the theater's bandh. And yet digital service providers are better off if they decline. Otherwise, the theater bandh will continue until our demands are met. "